Originally published by Survival International on 1/03/16. A tribe in eastern India are facing a new threat from mining on their ancestral land, despite having won a major “David & Goliath” legal battle in 2014. The Dongria Kondh were originally threatened by international mining corporation Vedanta Resources, who tried to open a bauxite mine in their sacred Niyamgiri hills, but were prevented by the Indian Supreme Court, which ruled that the Dongria should decide whether to allow the mine to go ahead. 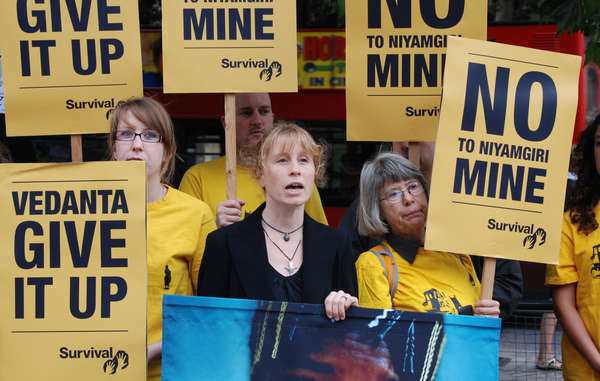 The tribe unanimously rejected Vedanta’s plans to mine their hills during a historic referendum in which all twelve villages that were consulted voted against the mine. Now, however, the Odisha state is trying to re-open the issue, petitioning for the right to hold another referendum for the Dongria to pave the way for a large-scale mining operation, this time by state-run Odisha Mining Corporation. British-owned Vedanta opened a bauxite refinery close to the Dongria’s hills without having secured permission to mine in the area. Even though the mine itself was quashed, the refinery has continued to operate at a loss. Despite strong resistance to the project from the Dongria, who have lived in the Niyamgiri hills for generations, the state authorities are keen to keep the refinery open and expand mining operations in the region. 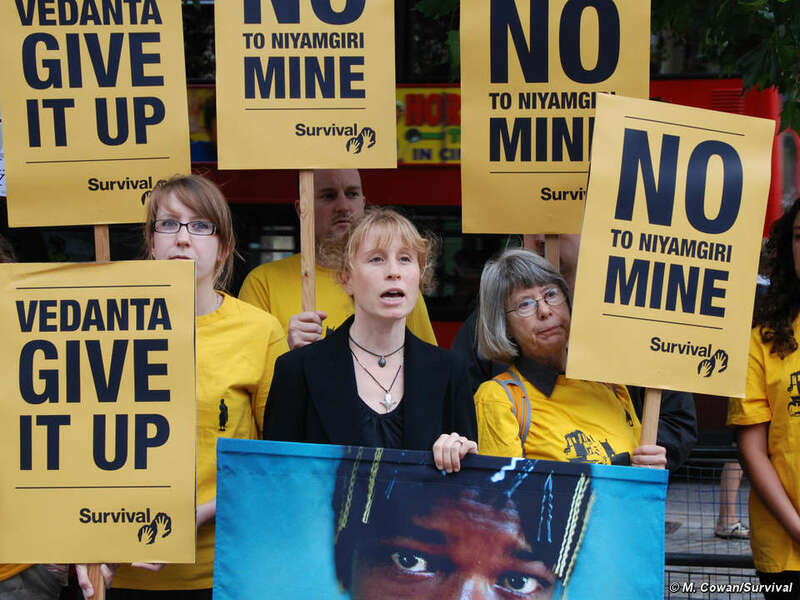 Survival International led a successful global campaign against Vedanta’s plans, and is now calling for the Odisha state authorities to respect the Dongria’s decision to reject the mine.